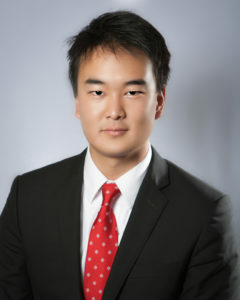 Michael Teshima is an Engagement Manager at Oliver Wyman, a global management consulting firm, with over six years experience advising CEOs, COOs, CIOs and CFOs at leading Financial Services, Retail, Aviation, Aerospace & Defense, Health and Life Sciences, and Transportation institutions in the United States and Europe. As a member of Oliver Wyman’s Digital, Technology, Operations and Analytics practice, he leads projects that enable organizations to define clear long-term strategies, capitalize on the opportunities created by the digitization of business, ensure that IT and operations are able to support business strategy and have organizational structures that can deliver. He specializes in growth strategy, business design, operating model design, operations and technology transformation, technology initiative management and organizational design. Michael received a Bachelor of Arts degree in Political Science from Brown University in Providence, Rhode Island. He is a former founding board member of Margination Inc., a non-profit business incubator. He is based in San Francisco, CA where he enjoys sea kayaking, backpacking, mountaineering and skiing.